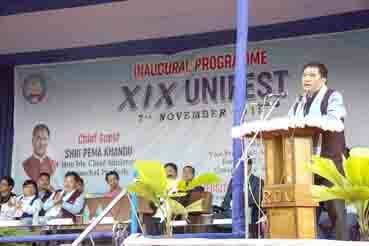 ITANAGAR, Nov 8: Urging the encroachers on land belonging to Rajiv Gandhi University (RGU) to vacate voluntarily, Chief Minister Pema Khandu said the state government would otherwise have to demolish the illegal structures or evict the encroachers. The CM said this on Wednesday while attending the inaugural function of RGU’s 19th ‘Uni-fest’. 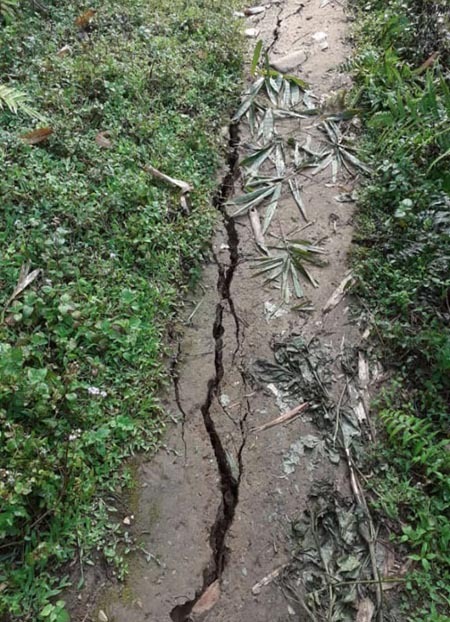 “The university has 302 acres of land, of which 62 acres have been encroached on,” Pema said, adding that the university would require more land for expansion in the future. Informing about the various conclaves his government has conducted to get inputs from the youths and citizens and enable them to have a say in policymaking, the CM encouraged the youths to come up with suggestions on matters related to the state’s welfare by reaching him through the social media. Responding to a memorandum submitted by the RGU Students’ Union, Pema assured to provide support for construction of a stadium, a rostrum, and an alternative approach road to the university. On the demand for a student activity centre, he sought suggestions on how to go ahead with it, saying the state budget has already earmarked Rs 3 crore for the project. On the NLCPR-funded indoor auditorium, the CM assured to provide fund for the remaining work, the cost of which is likely to come to around Rs 4-5 crore. He also announced Rs 2 crore for works to address the power shortage in the campus. To accommodate the ever-growing number of hostellers in RGU, the CM assured to take up the matter with the union HRD ministry. He also promised to provide three buses for the convenience of the day scholars. On the pending issue of the pension liability of RGU’s faculty and non-faculty staffs, amounting to Rs 12.44 crore, the CM assured to cover an amount of Rs 8.84 crore, with the remaining amount of Rs 3.6 crore to be borne by the university. RGU Vice Chancellor Prof Saket Kushwaha also spoke.